As the Obama administration considers how to respond to the use of chemical weapons in Syria, Vice President Joe Biden said Tuesday that there is "no doubt" that Syrian President Bashar al Assad was responsible for the Aug. 21 chemical weapons attack near Damascus. Speaking at the American Legion National convention in Houston, Texas, the vice president laid out the rationale behind that assertion. "We know that the Syrian regime are the only ones who have the weapons," Biden said, "have used chemical weapons multiple times in the past, have the means of delivering those weapons, have been determined to wipe out exactly the places that were attacked by chemical weapons." And instead of cooperating with international investigators, he continued, "the government has repeatedly shelled the sites of the attack and blocked the investigation for five days." 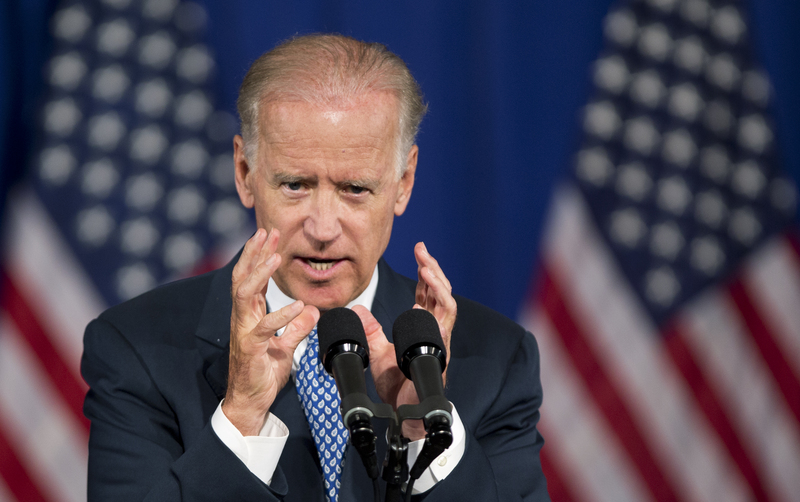 Biden said the administration's national security team has been in "close consultation" with their foreign counterparts. "Those who use chemical weapons against defenseless men, women and children should and must be held accountable," he said. In the White House press briefing earlier Tuesday, White House spokesman Jay Carney said the United States must respond to the use of chemical weapons in Syria because "allowing the use of chemical weapons on a significant scale to take place without a response would represent a significant challenge or threat to the United States' security interests." While Carney said "there must be a response," he noted that President Obama has yet to decide what course of action he'll take. "A decision about the use of military force has not been made," he said. "His options are many, and they include a variety of options that are not limited to the use of force." The potential for a military strike in Syria has triggered some concern in on Capitol Hill, where lawmakers are pointing out that the president cannot legally use military force without congressional approval. As of early Tuesday afternoon, nearly two dozen lawmakers had signed onto a letter calling on the president to get Congress' authorization before acting militarily. "Engaging our military in Syria when no direct threat to the United States exists and without prior congressional authorization would violate the separation of powers that is clearly delineated in the Constitution," the letter says. "If you deem that military action in Syria is necessary, Congress can reconvene at your request. We stand ready to come back into session, consider the facts before us, and share the burden of decisions made regarding U.S. involvement in the quickly escalating Syrian conflict." In 2007, Mr. Obama as a presidential candidate made the same argument with respect to potential military strikes against Iran's nuclear facilities. "The president does not have power under the Constitution to unilaterally authorize a military attack in a situation that does not involve stopping an actual or imminent threat to the nation," Mr. Obama told the Boston Globe. "In instances of self-defense, the president would be within his constitutional authority to act before advising Congress or seeking its consent." Carney on Tuesday maintained that the president has yet to decide on what action to take, but he suggested that if the U.S. uses military force without congressional approval, it would meet Mr. Obama's 2007 standards. "As I made clear, it is clearly in the United States national security interest that that norm be maintained," he said, "because the consequences of that standard dissolving are enormous and detrimental to the interest of the United States, and very detrimental to the international community, to our allies and partners in the region and to the world at large." Carney maintained that the White House doesn't need congressional approval for anything yet because Mr. Obama has yet to decide whether or not to use military force. British Prime Minister David Cameron is recalling the British parliament so that it can vote this week on taking military action in Syria, but Carney insisted that in the U.S., "nothing has been decided." "We are engaging in what we believe our responsibility is here, which is to consult with Congress," Carney said. While the U.S. is considering various responses, Carney reiterated that "we don't envision U.S. boots on the ground in Syria." He added that the options under consideration are "not about regime change." "It is our firm conviction that Syria's future cannot include Assad in power," he said. "But this deliberation and the actions that we are contemplating are not about regime change. We believe... that resolution of this conflict has to come through political negotiation and settlement." In an interview with the Daily Beast, Sen. John McCain, R-Ariz., suggested Mr. Obama is partially to blame for the continued use of chemical weapons in Syria. "Assad was able to use chemical weapons before and there was no response, and so why not do it again? This should surprise no one," McCain said. "They viewed that not as a red line but as a green light, and they acted accordingly." Carney said in response that when the Obama administration established with a high degree of confidence that the Assad regime had used chemical weapons on a relatively small scale "we did respond." The administration stepped up its support for the Syrian opposition, he noted. "And there will be a response to this, not apparent but clear and undeniable large-scale attack. And that is what is under deliberation at this time."